Did you know? Between six to eight million adults in the United States choose to include no meat, fish, or poultry in their diets according to a Harris Interactive Poll. With the availability of year-round fresh produce and more vegetarian options at restaurants, becoming a vegetarian has become more appealing and accessible in recent years. For some individuals, despite the reasons and benefits, it may seem like an impossible challenge to adopt a new way of eating. We believe that it’s possible! Here are a few ways that you can slowly begin to incorporate a vegetarian diet into your daily lifestyle. Be excited about eliminating meat from your diet! Research new recipes that you want to try, look for ways to incorporate additional protein and iron into your diet, and talk to your friends that have already adopted a vegetarian lifestyle. Visit your local farmer’s market and explore different vegetable options that you haven’t tried before. Take a peek at our recipe collection online for a good source of vegetarian recipes that include plenty of nutrient-rich greens like kale, collards, and mustard greens. Take a baby step this week and plan a day that doesn’t include any meat. Skip the bacon at breakfast, the turkey sandwich at lunch, and the chicken at dinner. 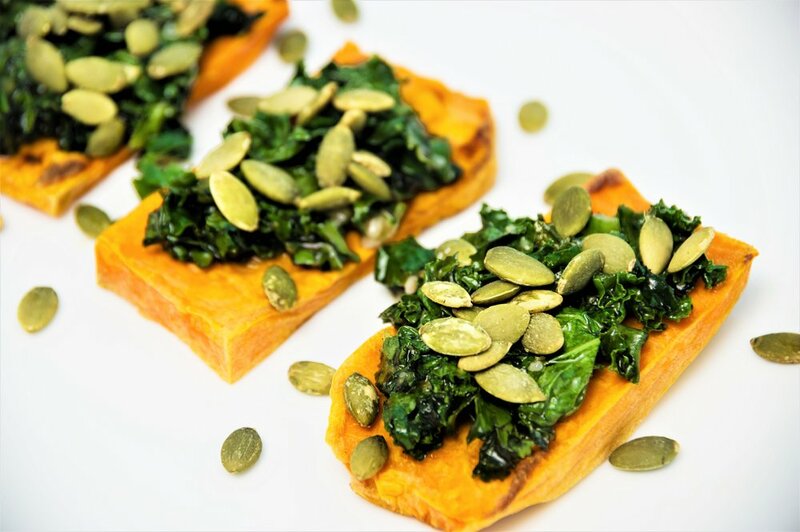 Instead, choose to have Sweet Potato Kale Toast (http://www.rawl.net/recipes/sweet-potato-kale-toast.aspx) for breakfast, Modern Pad Thai (http://www.rawl.net/recipes/modern-pad-thai.aspx) for lunch, and Vegetarian Tacos (http://www.rawl.net/recipes/vegetarian-tacos.aspx) for dinner. For your next #ToastTuesday, try this sweet and savory vegetarian toast created by Cynthia Sass, RD. Go vegetarian during the week. If you liked going meat free for a day, try cutting meat out of your diet during the week. Go for five days, Monday through Friday, without eating any meat, fish, or poultry. Explore restaurants in town to see what vegetarian items you can find on their menus—more often than not, the menu will denote which ones are vegetarian or there will even be a section of the menu completely devoted to vegetarian options. If you’re loving your meat free week days, go for a full vegetarian lifestyle! Take meat out of the final two days of your week and embrace vegetarian meals all day, every day. If you’re adopting a vegetarian lifestyle or enjoying our vegetarian recipes, share your photos with us on social media using #backtofresh #naturesgreens and by tagging us! We’d love to see what you’re cooking in your kitchen and how you’re incorporating our greens and vegetables into your daily diet.